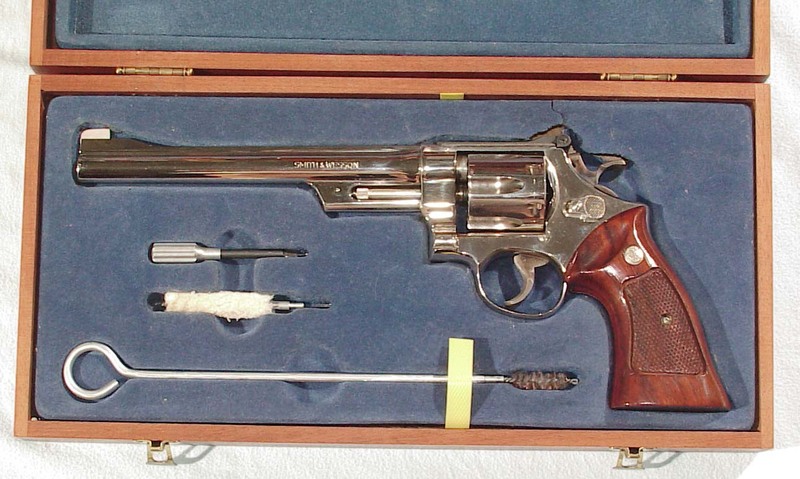 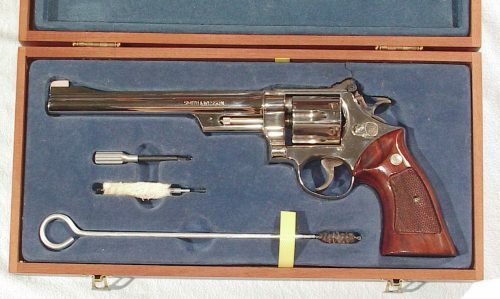 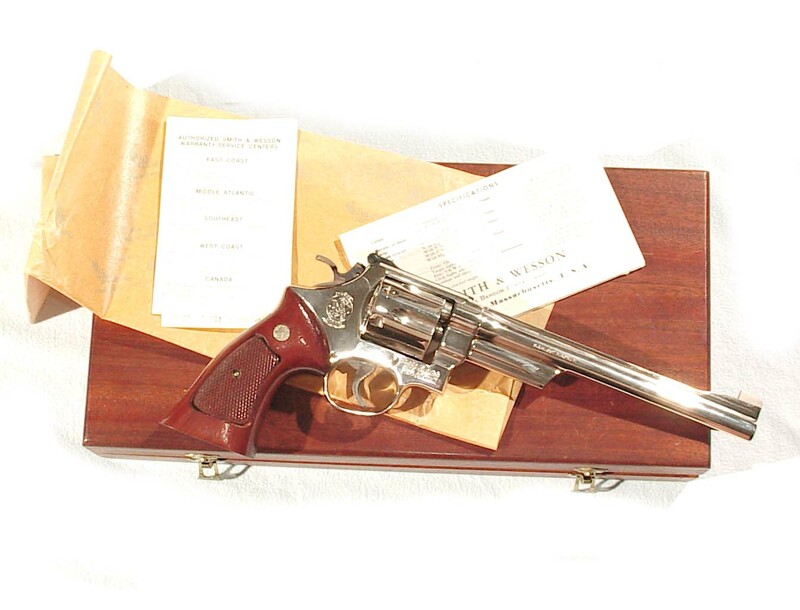 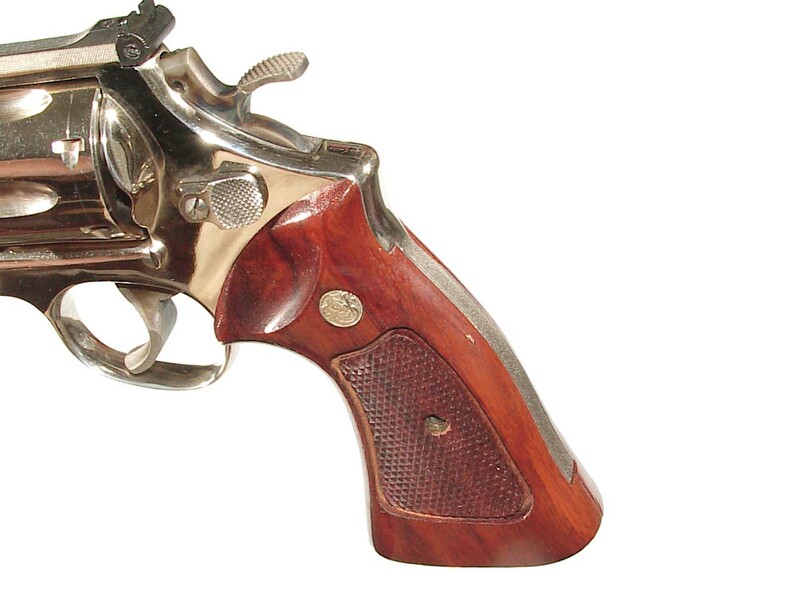 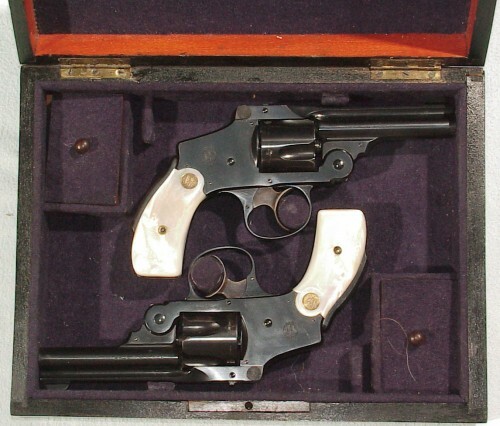 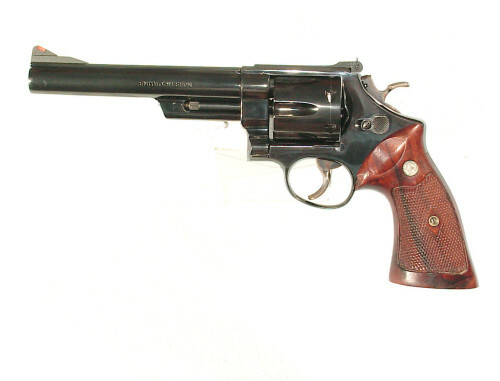 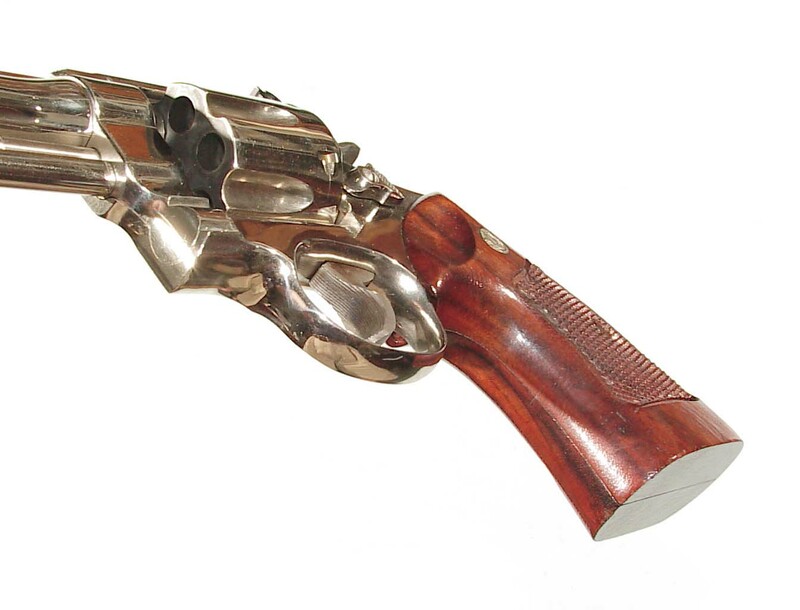 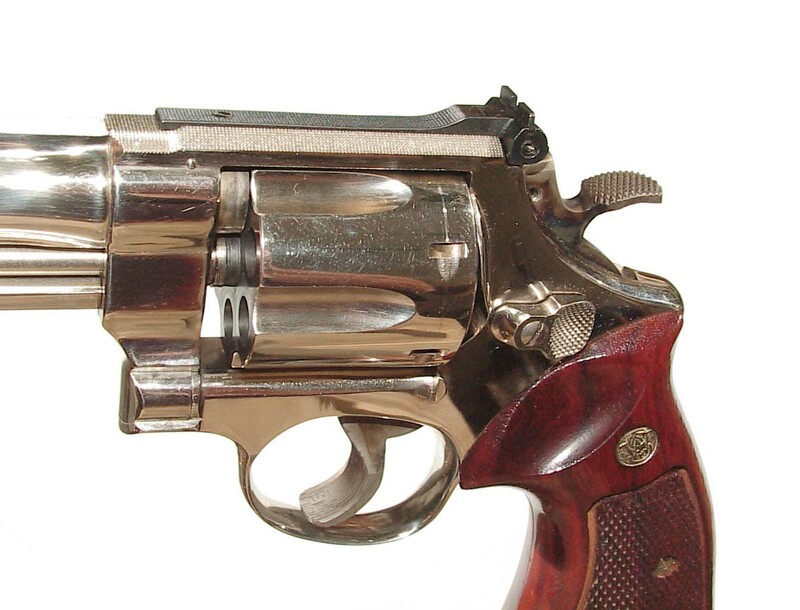 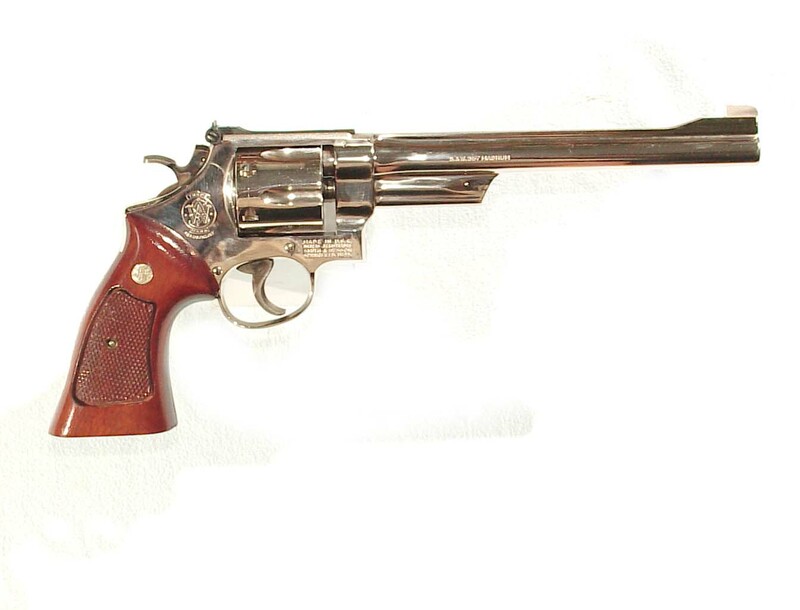 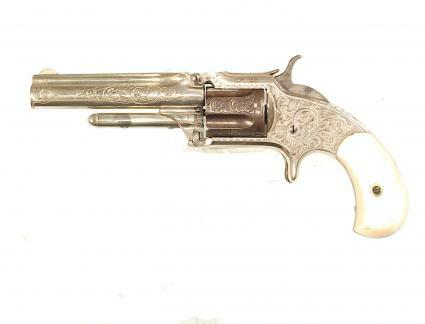 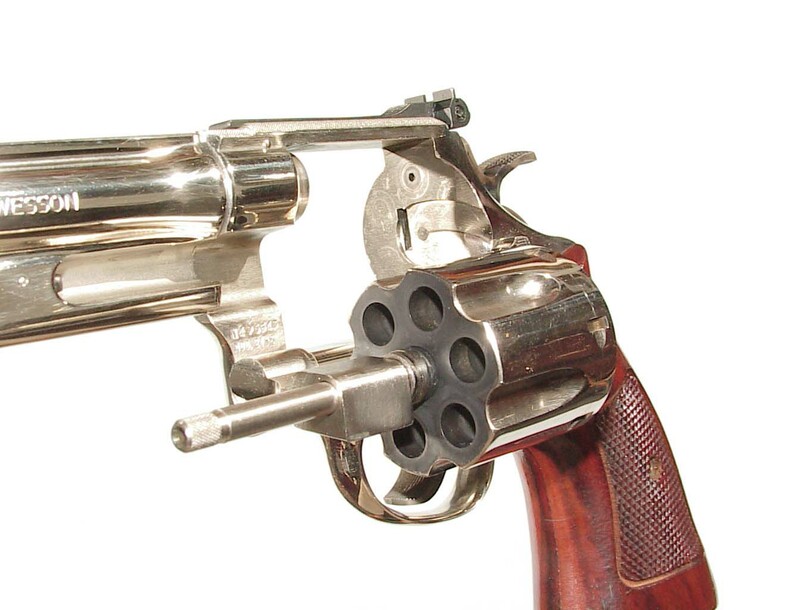 .357 magnum caliber, 8 3/8″ barrrel, nickel finish overall with target grips, casehardened trigger & hammer. 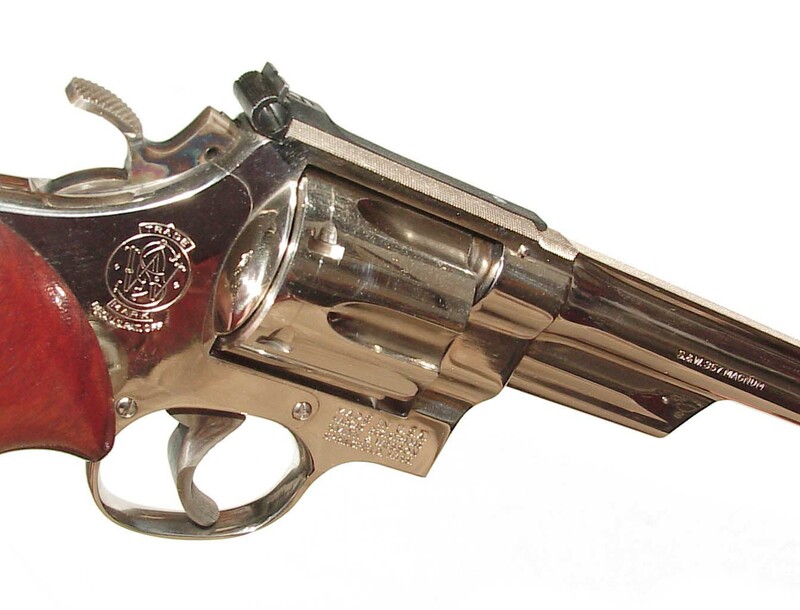 Retaining 100% of the original bright nickel finish showing only the slightest hint of a drag line. 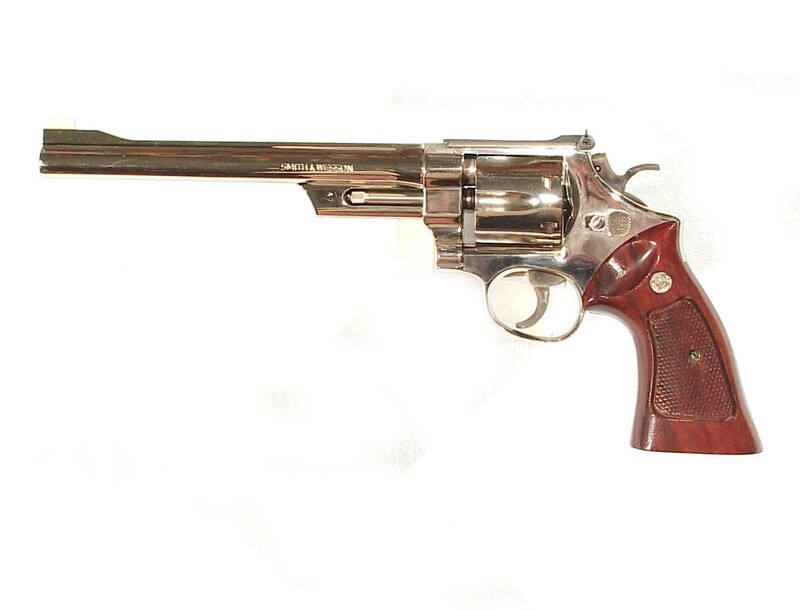 Appears to have been shot very little with the breechface showing no evidence of use. 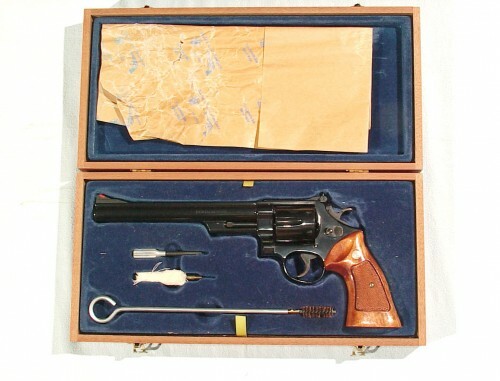 Factory wooden box complete with accessories and paperwork. 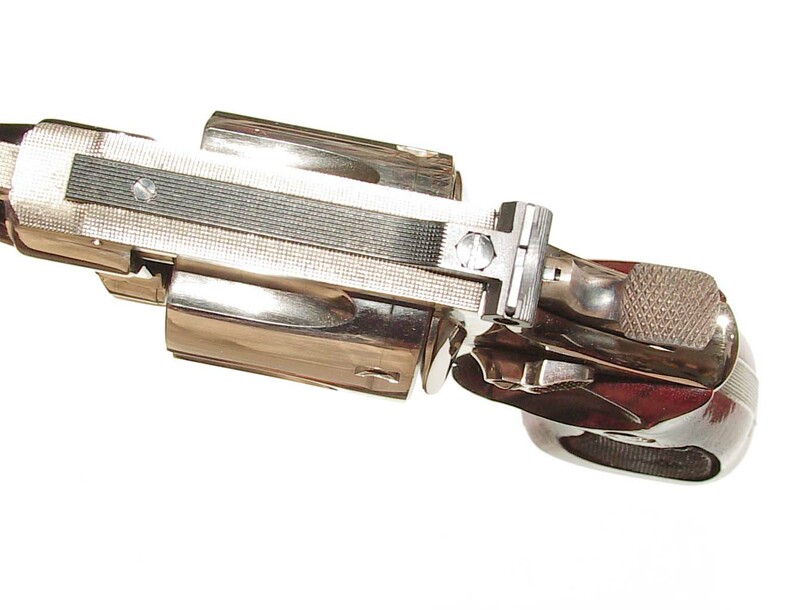 The composite interior showing some damage around where the top strap and hammer fit into the box.